Trex is a composite material widely used for outdoor projects like decks and fencing. Unlike wood, which must be stained and sealed and is subject to wear and weathering, Trex is a long-lasting material that holds up well to an outdoor environment. When paint drips occur, however, the deck cannot be sanded and refinished. Instead, other measures must be used to clean paint from Trex decking. Proper cleaning techniques remove paint from Trex decking. Clean the surface dirt of the Trex deck with warm, soapy water. Rinse thoroughly with a hose. 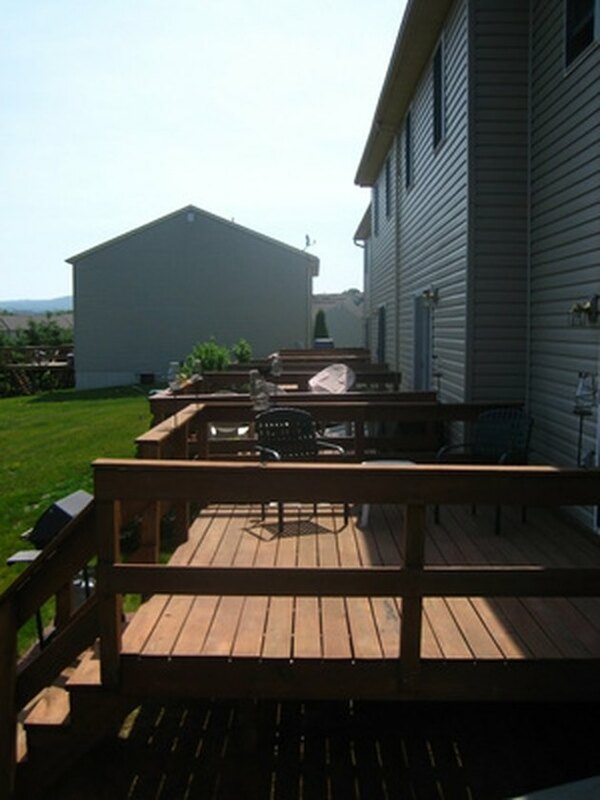 Test the mineral spirits on an unobtrusive area of the deck to ensure that it does not damage or discolor the surface. Apply the mineral spirits to the paint stains, allowing the product to sit on the stain until it softens. This usually takes five to 10 minutes. Scrub the paint stains gently with the soft-bristled brush, removing the loose particles of paint. Do not scrub hard or you may mar the surface. Apply the warm, soapy water directly to the stained area to remove any residual grease from the surface of the deck. Rinse the deck with the hose. Repeat this process until the paint stain is no longer visible.